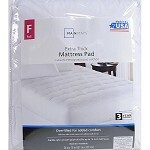 Add a layer of comfort to any mattress with this Mainstays Extra Thick Mattress Pad! 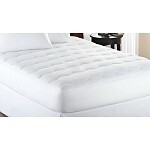 Overfilled with hypoallergenic fiber, this mattress pad provides a supportive and comfortable night's sleep. 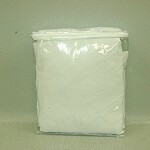 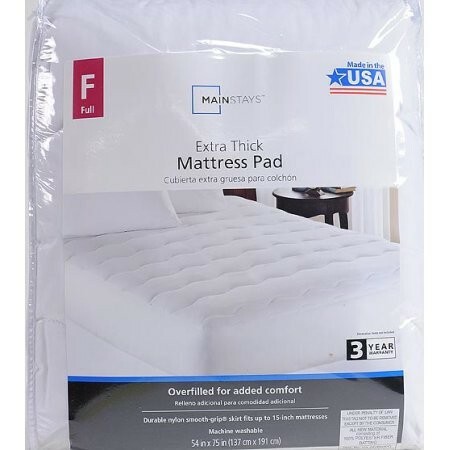 The Mainstays Extra Thick Mattress Pad is machine washable and features a durable nylon, Smooth-Grip skirt that fits mattresses up to 15 inches deep. 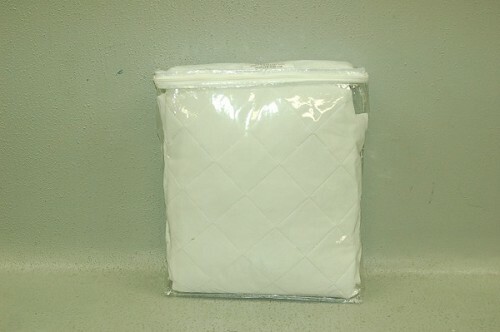 You'll experience the perfect night's sleep that you've been dreaming about!